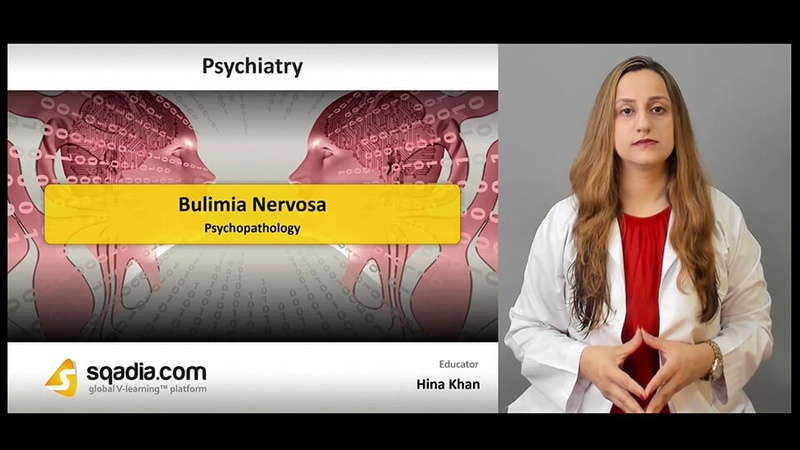 Bulimia nervosa, an eating disorder characterized by binge eating followed by the act of purging, has been discussed in this sqadia.com medical video lecture. From talking about the psychopathology, bulimia symptoms and ICD-10 criteria to psychological diagnosis, every aspect has been explicated in this V learning lecture. Additionally, psychotherapy along with the pharmacotherapy have been highlighted as treatment strategies. 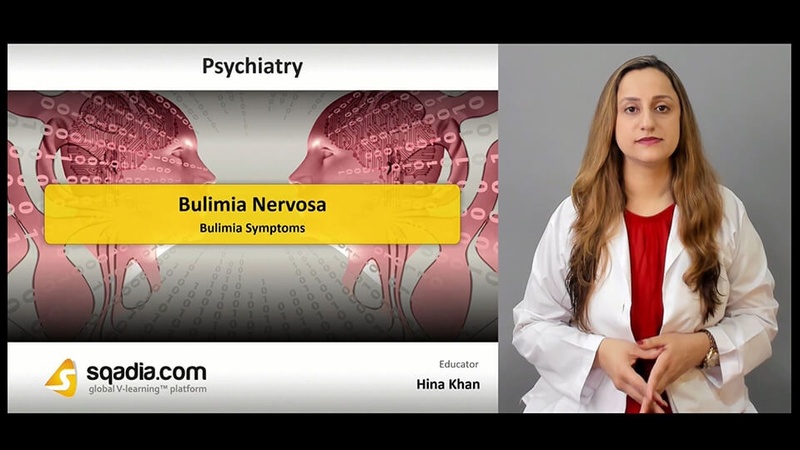 In the commencement of this section, the term bulimia nervosa has been defined. Following this, history and prevalence along with the range of risk factors encompassing dieting, parental obesity, serotonin dysregulation etc. In the end, the effects on body and psychopathology has been conversed about in-detail. Initially, clinical presentation, signs and symptoms have been presented. Additionally, ICD-10 criteria for bulimia nervosa and binge eating has been expansively talked about. Conclusively, psychiatry comorbidity has been discussed. These include depression, anxiety or impulsive type personality disorders. The prime focus of this section is on the psychological diagnosis. Firstly, diagnosis along with the gastrointestinal effects have been delineated. Following this, DSM criteria for diagnosis and differential diagnosis has been brought under consideration. The section has been summed up by a comparison made between anorexia and bulimia. Primarily, an overview of management has been put forth. In addition to this, psychological and pharmacological treatment strategies have been explained in-detail. Moreover, outcome and prognosis along with the criteria for hospitalization in eating disorders has been shed light upon. Finally, the binge eating disorders have been highlighted.